To apply, you need to glide the applicator across clean, dry lips or over the top of your chosen lip primer. From the first swipe you know that the pigmentation is fantastic. You get a bold wash of colour with even the smallest amount of product. There is no streaking and you can achieve a bold lip in little time. The formula is quite mousse-like, as a lot of other matte liquid lipsticks are also. I also imagine that it contains peppermint oil as it has a nice fresh scent and a cooling sensation when applying to the lips. The applicator is a typical fluffy wand type applicator that you get for liquid lipsticks and glosses, but I can’t help wondering if this one is a little too fluffy or if it’s just that my wand applicator is personally a little too fluffy. I say this because whilst the wash of bold colour is easy to apply, it was a bit difficult to get the detailing looking perfect when applying. The cupid’s bow was a particular issue. It was difficult to get a smooth finish that didn’t look like I’d put zero effort into applying it neatly, even though I was. It did require a bit of lip liner to fix it and to smoothen those edges. As long as you wear liner, there’s no issue. If you’re looking for something that can be worn with or without liner though, then that’s where there is a bit of a problem. It takes a little bit of time to dry, but once it has it is on for a long time. Even after eating scones with jam and cream and then drinking tea, it was still as good as it was beforehand. There was also a fairly minimum amount of transfer. The only real issue with eating and drinking that I had was around the edges. It wasn’t smudged, but it was somewhat blurred. It was only very slight, and it’s not something you’d look at and say "oh that’s smudged" or faded, but you can just tell that it’s been on for a good few hours. It loses that sharpness of a fresh application. To counter this, I highly recommend using lip liner with this lipstick. 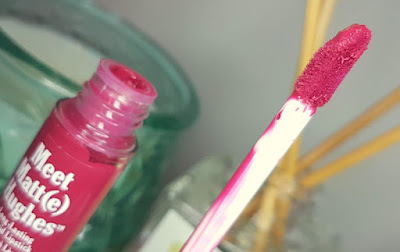 I think that whilst with some matte lipsticks you can get away without, but with this one it just helps to counter the little issues and it means that your lipstick will stay looking fantastic all day. I don’t find this lipstick to be drying on the lips, but it isn’t moisturising either. It isn’t uncomfortable to wear, it isn’t sticky and it isn’t heavy on the lips. Putting the minor issues aside, I really do love this lipstick. You may need to work a little harder to get the application spot on, but once it’s there it’s amazing. It really does last all day, so it’s perfect for work, a night out, a wedding, parties and so on. Team it up with one of their most popular products, theBalm Lou Manizer, and you’re ready for the Christmas party season. 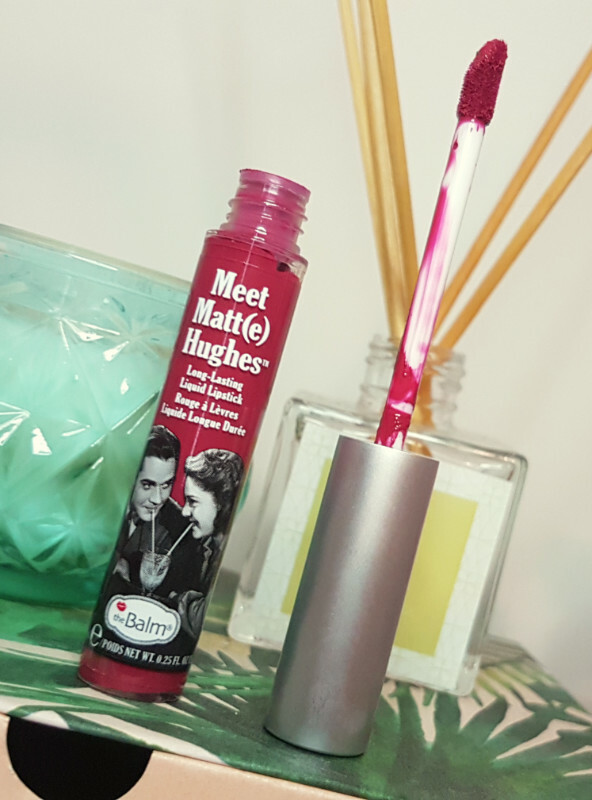 You can grab theBalm Meet Matt(e) Hughes Long-Lasting Liquid Liptick from Feel Unique. What are your thoughts on the theBalm Meet Matt(e) Hughes Long-Lasting Liquid Lipstick? What are your favourite lipsticks at the moment?